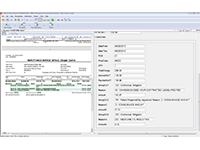 MedPack is a reliable, state-of-the-art software module, specifically designed to automate the classification and OCR/ICR capture of key index data from CMS 1500 and UB04 Medical Claim forms and EOBs or RAs. Developed in and powered by ABBYY FlexiCapture 10 software, this "out-of-the-box" advanced capture solution installs in just a few weeks and is technically revered as the most feature-rich solution on the market today. The MedPack solution is a highly customizable enterprise platform that allows your IT team to take ownership of the medical claims solution and do all of the configurations and routine maintenance in house. The solution automatically classifies CMS 1500s & UB04 medical claims including their supporting Medicare return remittance documents, without the need for separator sheets or manual separation. 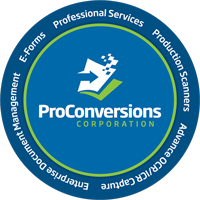 Simply scan your medical claims and RAs together in the same batch and let the MedPack solution from ProConversions Corporation do the rest. After scanning your claims, the images are processed in an unattended mode before being presented to the MedPack thin client verification module. 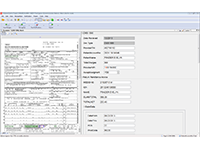 In MedPack verification the users can validate the index data including out of the box (Microsoft SQL, Oracle and any ODBC) database connections to your provider and eligibility databases. Many companies claim they can meet your needs with an automated solution but in the end of their solution are: cumbersome, difficult to configure and often time cost $100,000 of thousands of dollars. Not with MedPack. 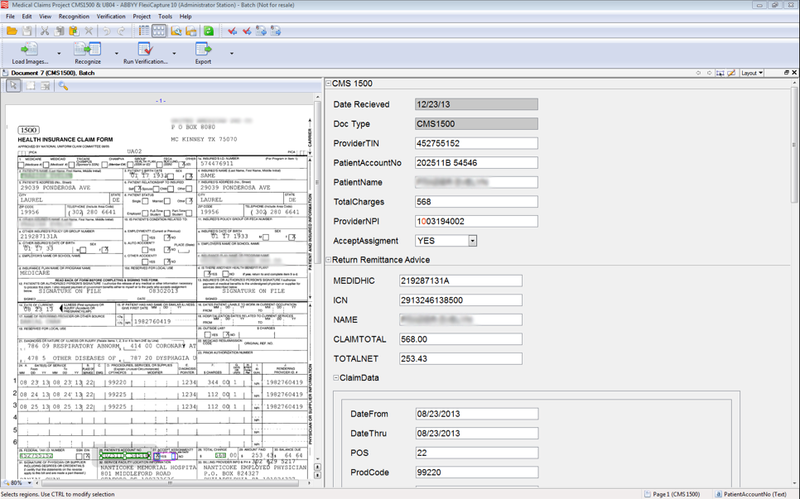 Scan, verify and export your medical claims directly from MedPack to your mainframe adjudication system, without the need to key in the index data. 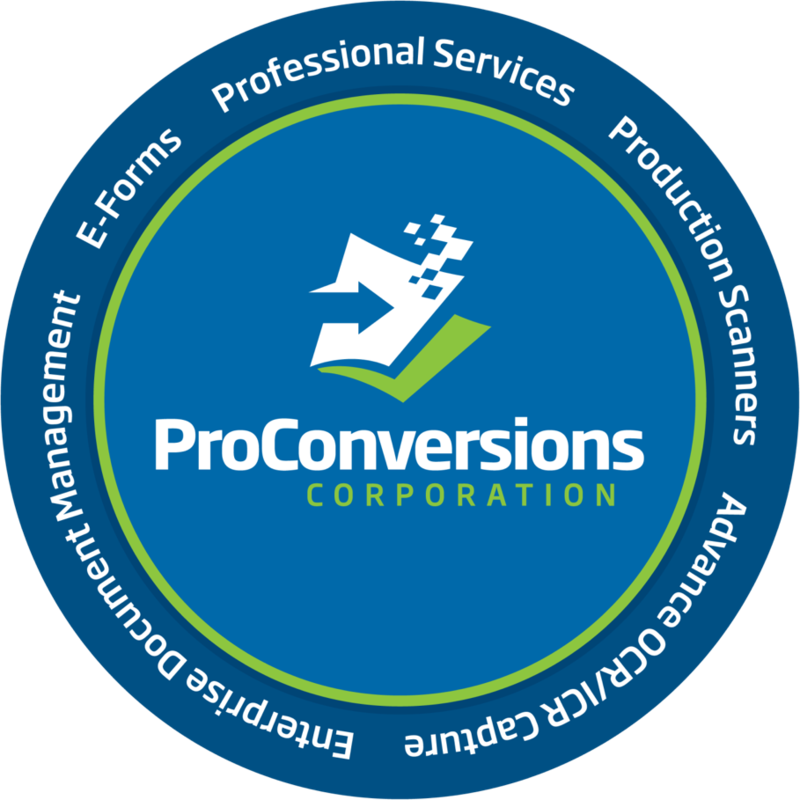 The standard 837 export format is included in the solution and the ProConversions technical team will lead the integration process between your healthcare system of engagement and your Enterprise Document Management system of record. What's Included in the MedPack Solution? 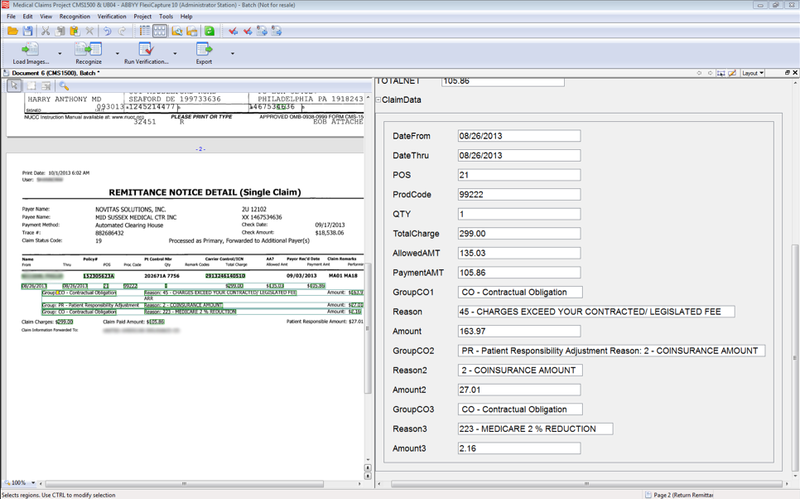 Cost of the ABBYY FC10 Software to process your annual page volume of claims and supporting documentation. The time to install & configure the MedPack software on your servers to process CMS 1500s, UB04s and your top (5) RA document types. A four hour knowledge transfer training session on the technical configurations and how to best support and maintain the MedPack solution going forward. Out of the box Microsoft SQL & Oracle database integrations to your eligibility, provider and diagnostic databases to validate the OCR captured data. Two hour MedPack Scan and MedPack Verify user training for your operators. Four hour administration training on supporting the MedPack System. 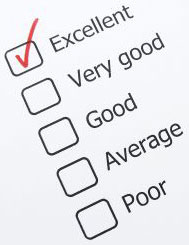 Two full onsite days to refine the MedPack solution and improve OCR/ICR recognition results in your environment. Maintenance for one year on your MedPack solution.